It may not be broken yet but…. ………when you see photographs such as these of floating debris from the Tsunami which were taken along the west coast of America this year, you realise the massive negative impact on the seas that one devastating event can have . Reports from the Oregon suggest that while no one knows how much of the new debris they are seeing is from the Tsunami, ‘groups have held four times as many cleanups, collecting five times as much trash . 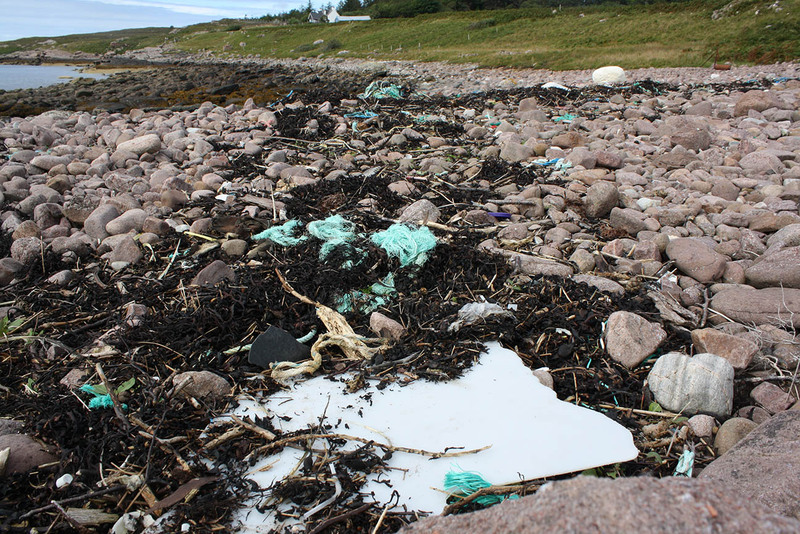 Some beaches, especially on the north coast, are seeing a larger-than-normal amount of small plastics bits along the wrack line . 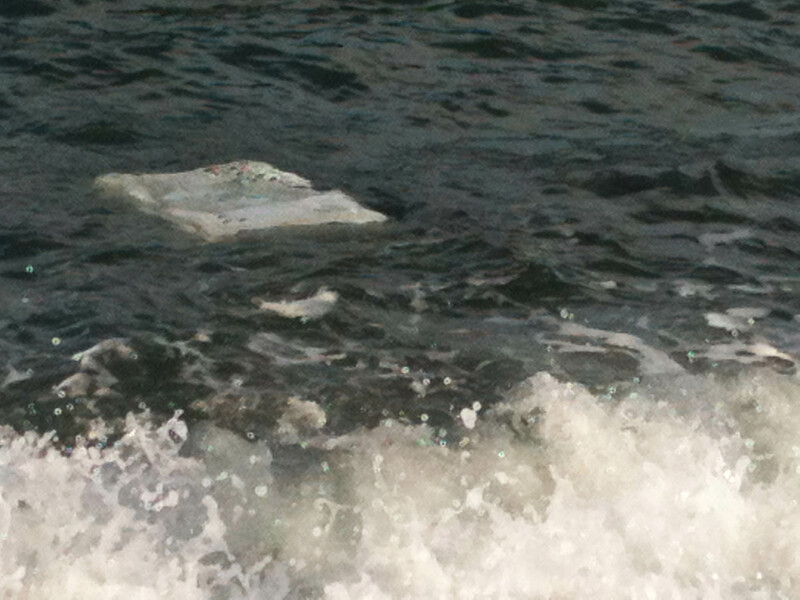 Ocean currents are fickle and complex, so some beaches have seen very little debris. 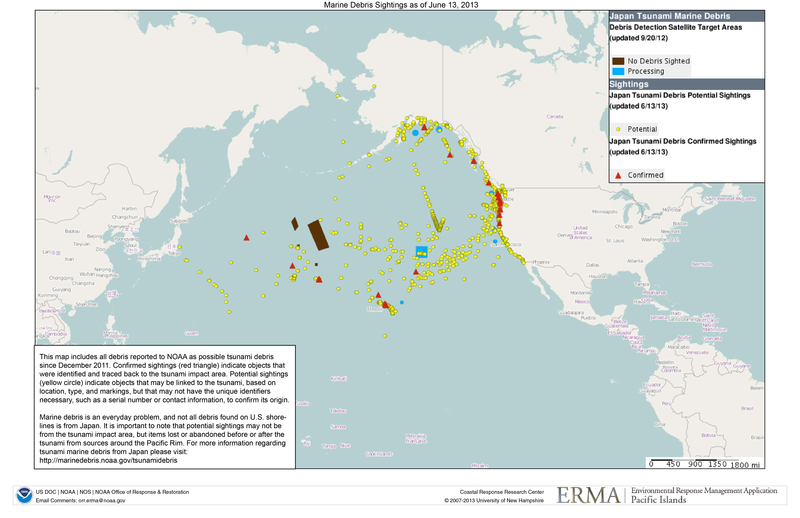 Marine Debris Program NOAA has mapped all marine debris sightings reported to DisasterDebris@noaa.gov as possible tsunami debris, using NOAA’s ERMA® tool. Confirmed sightings (red triangle) indicate objects that were identified and definitively traced back to the tsunami impact area. 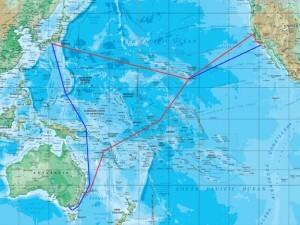 Potential sightings (yellow circle) indicate objects that may be linked to the tsunami, based on location, type, and markings, but that may not have the unique identifiers necessary, such as a serial number or contact information, to confirm its origin. The Newcastle Herald’s report on Ivan Macfayden’s statement ‘The Ocean is Broken’ which I posted a few days ago is thank fully drawing attention to the floating pollution and over fishing issues, which can only be for the good, as these issues often seem to be unseen or overlooked. If such random dumping of litter was going on on land to this extent their would be a much greater focus on monitoring the situation and tracking down the offenders. One counter view to MacFayden’s is by Carlos Duarte who puts forward the question ‘Is the Ocean Broken?’ and argues that we can all help to protect it through our life style choices, political actions and in our every day choices shopping. See what you think. 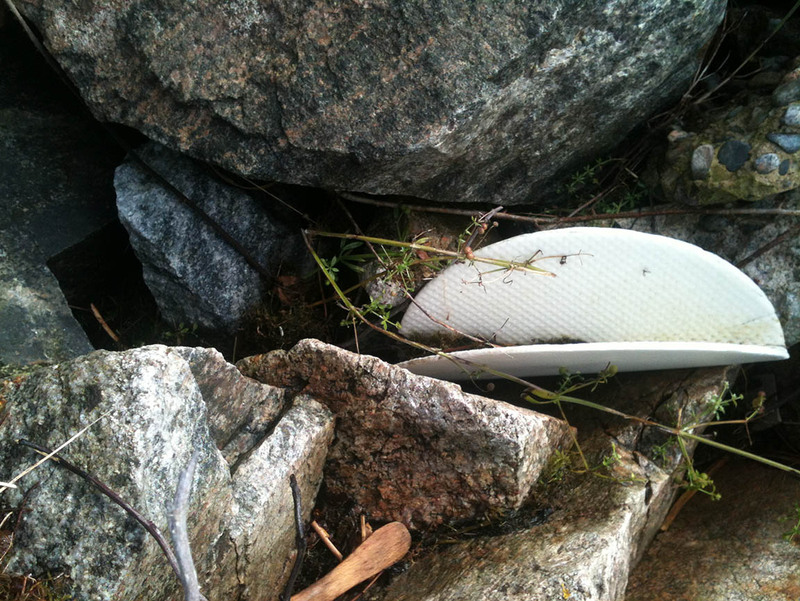 An article entitled “The Ocean is Broken” is making waves on social media. In this emotional article in The Newcastle Herald, a yachty, Ivan Macfadyen, reports the lack of fish and marine life and loads of garbage at sea in a sailing trip across the Pacific to conclude that the Ocean is Broken. I understand Ian’s feelings, as I too have sailed many – tens of thousands – ocean miles as a researcher on board researcher vessels across all oceans and as a sailor on my sailboat enjoying the slow and silent pace of life propelled by wind and waves. 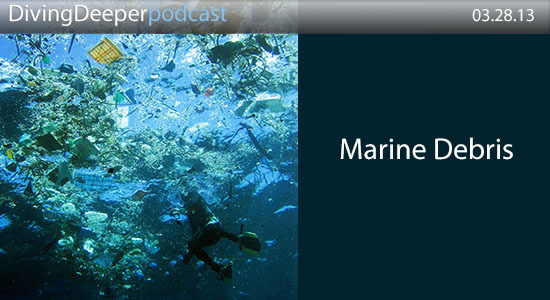 Ian Macfadyen touches upon two issues I have discussed here, overfishing and plastic pollution. These are real problems, as more than three-quarters of the ocean’s fish stocks have been depleted, sometimes beyond recovery, and, particularly, the global tuna fishery can be better portrayed as war on tuna than as a fishery. Fortunately, Australia’s fisheries are generally well managed and most of our fish stocks are still healthy and strong. The ocean also contains large amounts of plastic debris, floating across the world’s ocean, harming marine life. Yes, Macfadyen is right, there are plenty of problems in the ocean, but it is not yet broken. I am increasingly upset about reports that portray the ocean as broken and helpless. We scientists are to blame, to some extent, as we love bombarding people with trouble and bad news, composing a narrative that is overly apocalyptic, what I refer to as the plagues of the ocean. Depicting the ocean as broken makes the problem seem boundless and eventually deters society from engaging, giving up to an ocean portrayed as already broken. The conventional narrative extends from plastic pollution and overfishing into a litany of plagues including the proliferation of impacts associated with climate change, hypoxia, eutrophication, ocean acidification, marine pests, such as spreading jellyfish blooms, and loss of valuable habitat. Many of these are happening, but their severity and immediacy are sometimes exaggerated through a feedback loop involving, among other factors, spinning of research headlines to compete for media attention. This is why I enjoy writing for The Conversation, providing a direct contact between a readership of educated citizens and scientists, devoid of mediators and media hype. Let’s focus on Macfadyen’s evidence for a broken ocean: two snapshots of the Pacific, 10 years apart, suggesting a depletion of marine life and huge plastic pollution. The ocean is a dynamic ecosystem, showing broad fluctuations over time in almost all properties, from physical and chemical properties to the largest fauna. These fluctuations often deceive the casual observer and high-quality data involving systematic long-term observations are necessary to detect real changes from the noise in these fluctuations. For instance, my co-workers and I conducted an analyses of global changes in jellyfish to find that there is no basis to support the claim that they are increasing globally, one of the plagues of an allegedly broken ocean. Our results, reported this year, showed that jellyfish experience broad fluctuations of approximately 20 year cycles that mislead scientists and the public into the perception that the most recent rising phase of these cycle (roughly between late 1990s and 2008) was an unprecedented event signalling, again, the oceans being broken. Put simply, our analysis showed that such fluctuations happened in the past, but very few scientists were watching and they lacked channels, such as the internet, to share their results. Likewise, we also now know that many changes that are portrayed as symptoms of a broken ocean, such as coral bleaching, outbreaks of populations such as that of the of crown of thorns starfish or toxic algae, and others, may largely represent symptoms of global oscillations, which we do not yet fully understand and where human drivers may play little or no role. Separating natural process from human impacts entwined in such fluctuations is a daunting task, so we should not be too quick to jump to conclusion and blame humans for all changes we perceive in the ocean. Australia has given itself a model system to observe its oceans, called the Integrated Marine Observation System, including a broad array of tools to observe ocean properties from physical to biological with an emphasis in detecting change. IMOS has set the benchmark for marine observation systems around the world by the scale, scope and thoroughness of its components, and the fact that all data are freely available to all. Australians should feel proud of the development of IMOS, but how can you feel proud about something you’ve never heard about? We, scientists, need to step up our actions to communicate to the public what we do, and the outcomes of the small share of taxes that is allocated toward the stewardship of our oceans. In fact, the Achilles heel of IMOS is likely its sustainability on a landscape of increasing austerity of public expenditure, threatening to do away with programs such as IMOS, which struggle year after year to survive and continue to deliver value to Australians and the world. But we cannot monitor the oceans just with buoys, gliders and satellites, we need to be able to go to sea and take samples to verify what our instruments indicate. Australia is grossly under-resourced for research at sea, with a capacity for seagoing research across our 40,000 kilometres of coastline, comparable to that of Belgium with only 70km. But a major milestone in addressing this chronic problem will soon come to fruition with the launching of the R/V Investigator, arguably the world’s most modern research vessel, an oceanic class 94 m vessel being built in Singapore and soon to be sailing our oceans in voyages of discovery and stewardship under CSIRO management. Availability of observations and research capacities at sea allow us to build and verify models to grasp ocean dynamics. 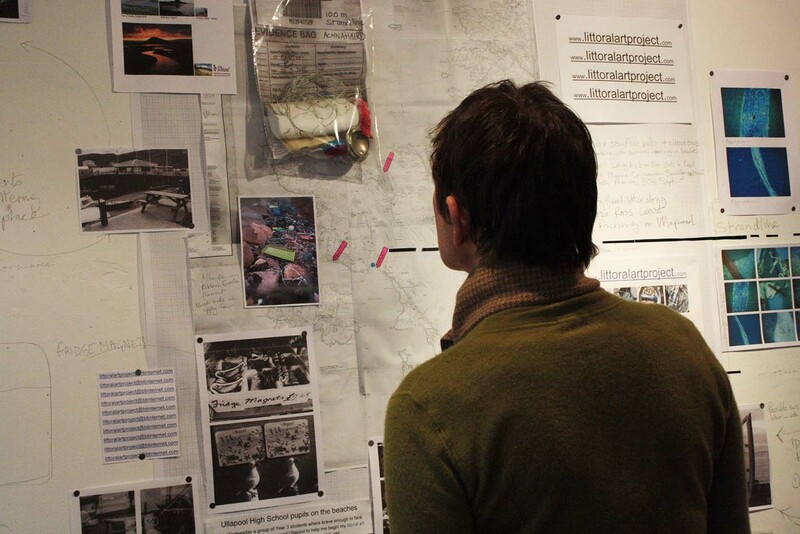 Soon after the tsunami of March 2011 that triggered the Fukushima accident, NOAA published models that predicted how the huge patch of debris washed to the ocean by the power of the retreating waves would take three years to travel across the ocean to strand, sometime in March 2014, along the beaches of California, Oregon and Washington in the USA. 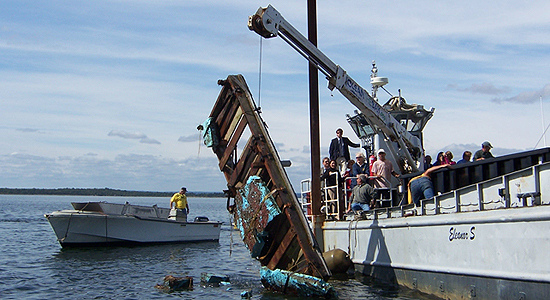 Had Macfadyen checked NOAA’s web page, he would have been prepared to meet the garbage patch he encountered with such a devastating emotional impact. I gave a public lecture on this topic at UWA on October 15th, but I could not download the latest model predictions from NOAA, as this essential system had been down due to the budgetary crisis in the USA. 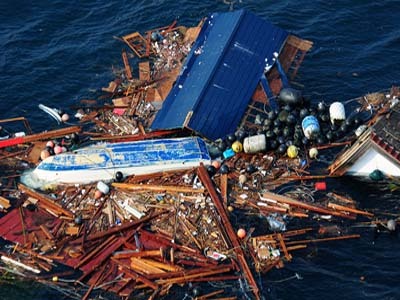 The tsunami was not a human-driven impact, so we should moderate the feeling of guilt about so much debris, along with many human lives, lost at sea. 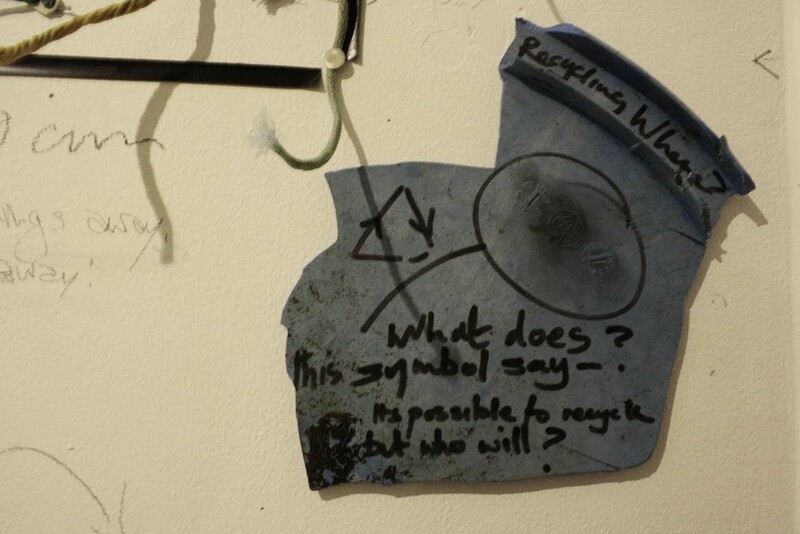 It does, however, provide a brutal exposure to the reality of our lives, surrounded by a fever to consume and dispose of too many objects, many of them manufactured with materials made of or containing harmful chemicals, that we get to use just for a few minutes and throw away, as with most plastics. What kind of fishing line did Macfadyen use in his first voyage? What happened to this fishing line when he was done fishing? What harmful chemicals went into the antifouling paint for his boat’s haul? These are the kind of questions we must be asking ourselves, and bring down our footprint in the environment before a tsunami washes all our useless artifacts into the ocean. Likewise, do we ask ourselves how and where was the fish we consumed with our last meal captured?. Did it come from a sustainable fishery or a sustainable aquaculture farm?, Did we bother to ask if it was a certified product? Do we demand that this information be displayed to guide our choices as consumers? Should we eat tuna, which at trophic level 5 in the food web sits at the same level as a monster eating wolf-eaters, or should we settle for sardines, oysters and seaweed for tonight’s meal? Was that chicken we ate yesterday for dinner fed fish flour? Do we drive a 4WD car contributing to releasing CO2 that will acidify our oceans further, or do we cycle, drive a hybrid or electric vehicle or catch a bus powered by biofuels? Do we vote to have our marine parks and carbon tax removed because we, Australians, with one of the strongest economies and highest per capita footprints in the world, cannot afford them? These questions are not easy ones to ask ourselves, but are needed to force us to confront our contradictions. We enjoy eating seafood, which is an essential component of a healthy diet. We know fisheries are depleted or, at best, exploited close to their limit, so the development of aquaculture provides the only avenue to sustainably meat the growing demands for seafood as population grows. But we get upset if we can see an aquaculture farm protruding from the horizon off our coasts. Responsible consumers will not break the ocean; those who chose to ignore the consequences of their day-to-day decisions as consumers will. The arena where the struggle to spare the oceans from breaking is fought everyday, not once every 10 years, is at our local shops. 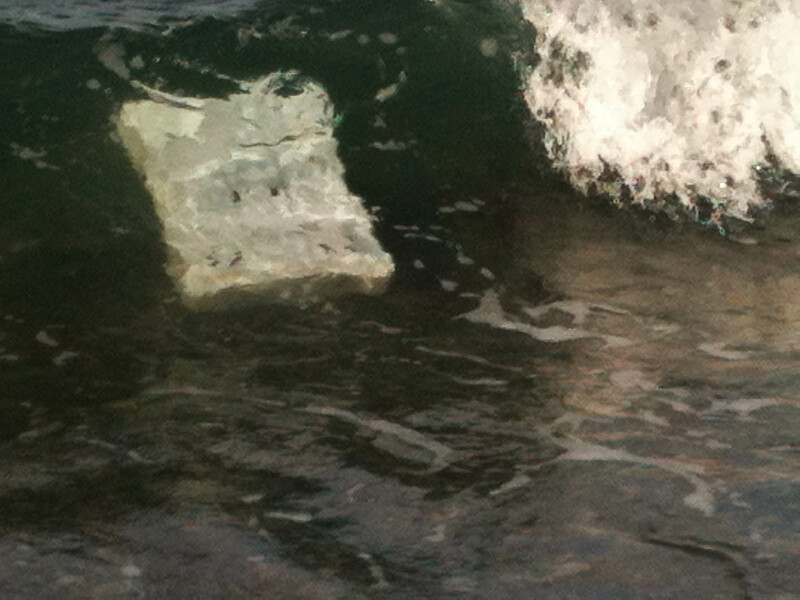 On all my shoreline walks for this project I have only seen relatively small items of litter floating in the sea, usually plastic bottles and bags , until I spotted this fish box being rolled towards the beach in Ardmair Bay. 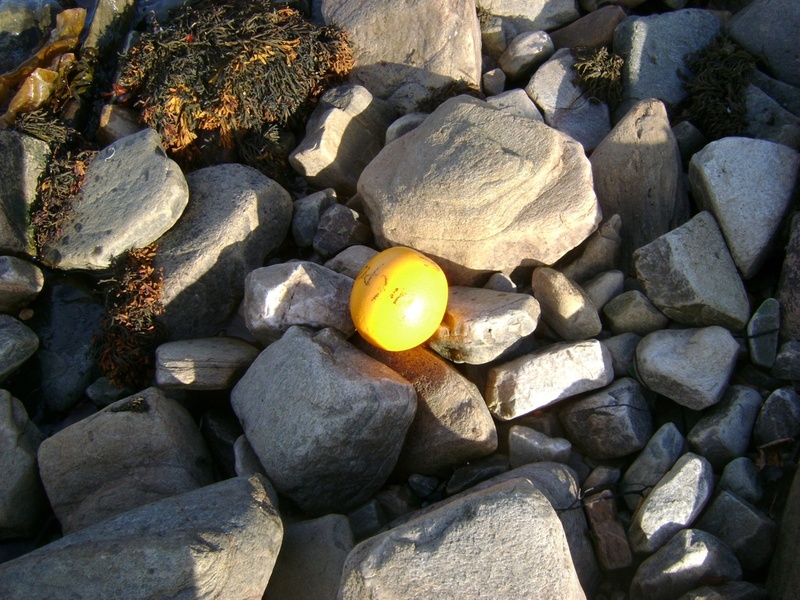 The surveys have recorded tens of such boxes and the beaches south of Reiff are certainly strewn with much bigger pieces of litter such fibre glass tanks, mounds of tangled fishing nets and plastic drums. Imagining such objects floating in the sea is frightening, but yachtsman Ivan Macfadyen recounted his hugely disturbing observations about the increase in floating litter to reporter Greg Ray on the Newcastle (Australia) Herald website this week, after his recent experience sailing in the Melbourne to Osaka race and then home from Japan via America. The experience (copied below) has led him to conclude that……. 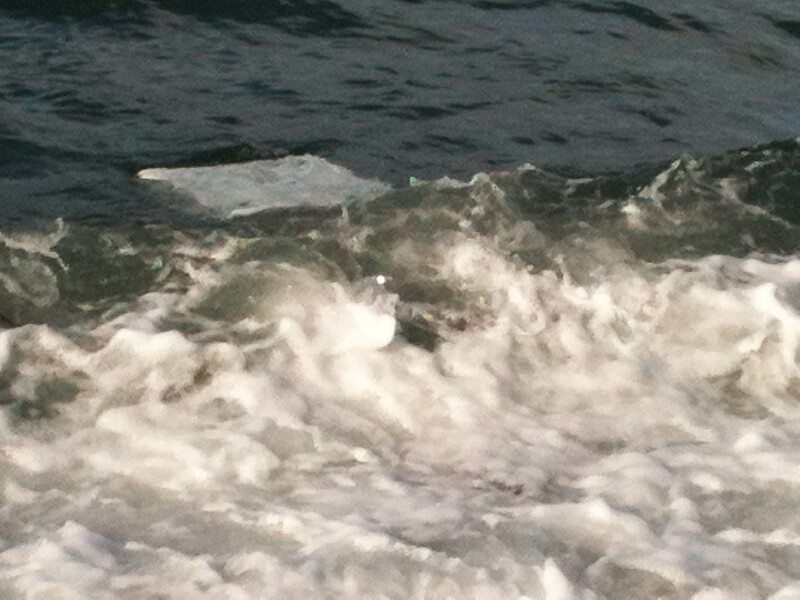 What was missing was the cries of the seabirds which, on all previous similar voyages, had surrounded the boat. The birds were missing because the fish were missing. But this time, on that whole long leg of sea journey, the total catch was two. No fish. No birds. Hardly a sign of life at all. North of the equator, up above New Guinea, the ocean-racers saw a big fishing boat working a reef in the distance. “All day it was there, trawling back and forth. It was a big ship, like a mother-ship,” he said. “And they gave us five big sugar-bags full of fish,” he said. “They were good, big fish, of all kinds. Some were fresh, but others had obviously been in the sun for a while. Macfadyen felt sick to his heart. That was one fishing boat among countless more working unseen beyond the horizon, many of them doing exactly the same thing. No wonder the sea was dead. No wonder his baited lines caught nothing. There was nothing to catch. 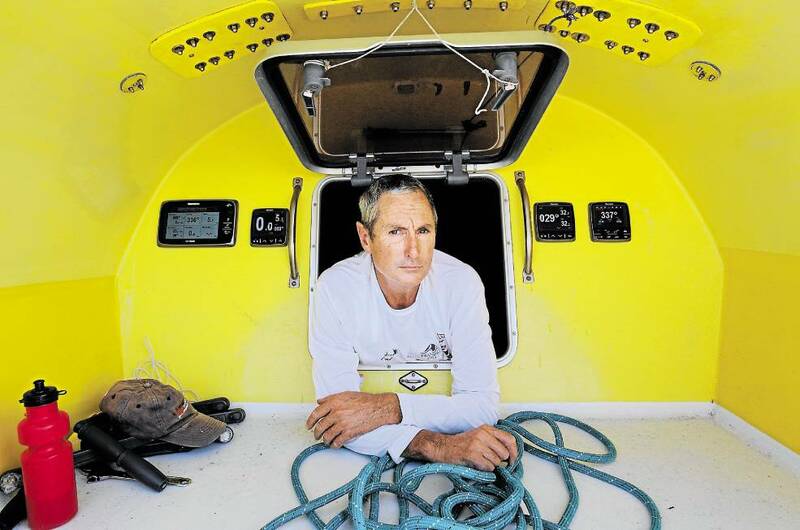 “In years gone by, when you were becalmed by lack of wind, you’d just start your engine and motor on,” Ivan said. Not this time. Thanks Aidan for sending me the link to this article. It seems to be rightly gaining attention though there are differing responses as to his conclusion which I am working my way through and will post a few up shortly. Please do let me know any related interesting articles and comments you might have. 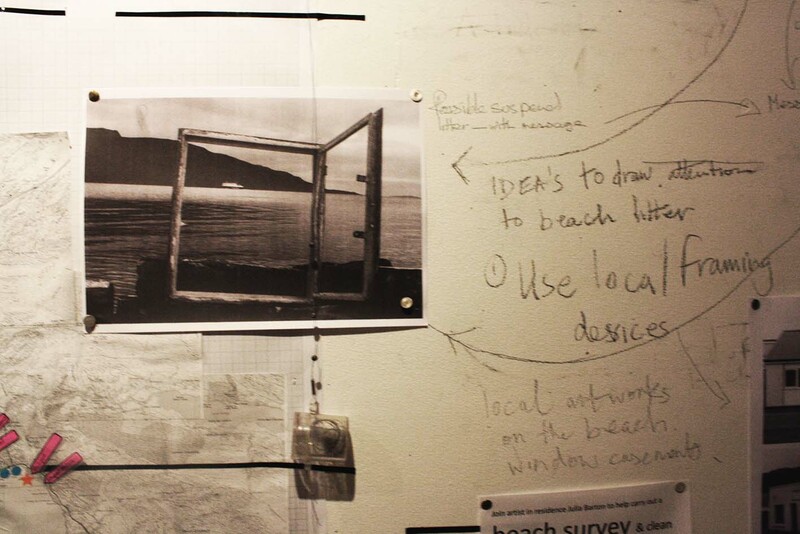 After much adding up of objects/materials found on the beaches, transcribing of notes and cataloging photographs, this week I am setting about experimenting with ways to visually respond to my findings. 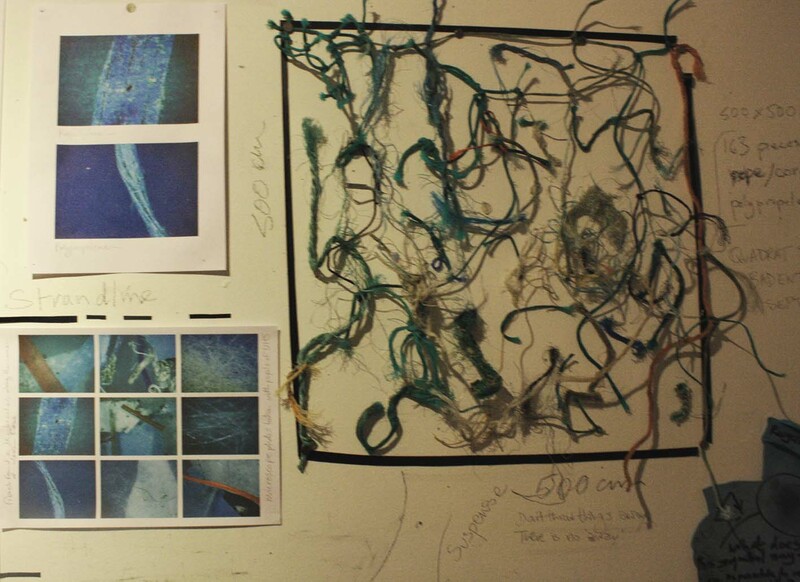 Perhaps one of the most poignant findings is the hidden nature of the volumes of litter that we are contributing too on our beaches: buried beneath the sand, caught between the rocks, entangled in the seaweed, covered by vegetation. 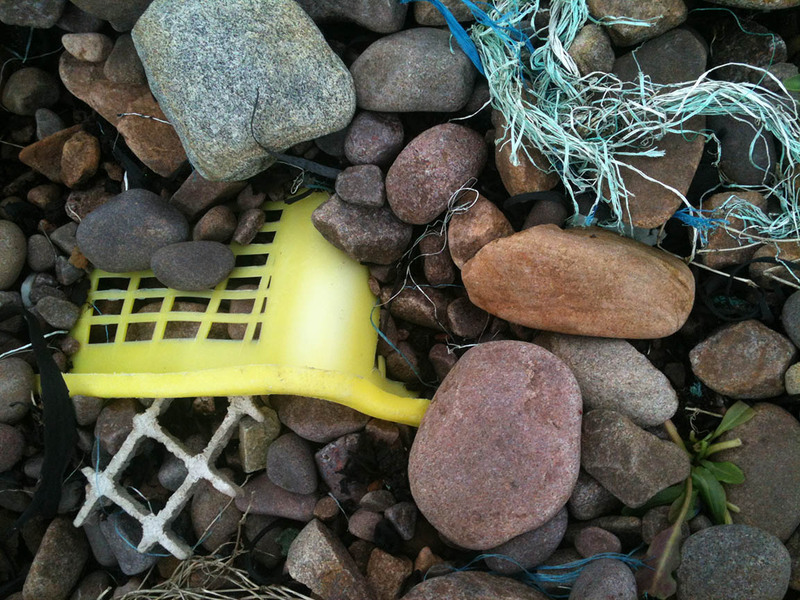 It is this unseen nature of beach litter and the longevity of the plastics that we find that I am now presently addressing in the studio, the results of which I will install/perform in a few weeks time in Ullapool. 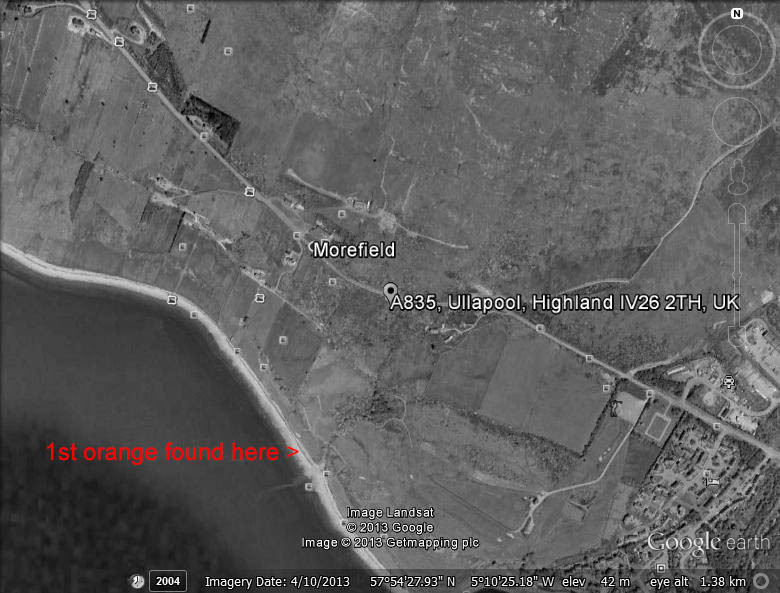 I am now engaged in the process of cataloguing all the information I collected while based in Ullapool. 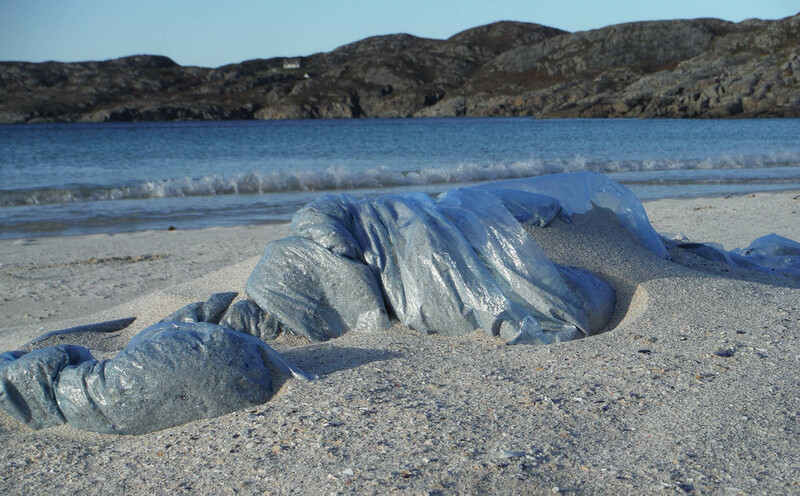 I recorded the beach litter along 100m of the strandline on 15 beaches in the Wester-Ross and Sutherland areas. 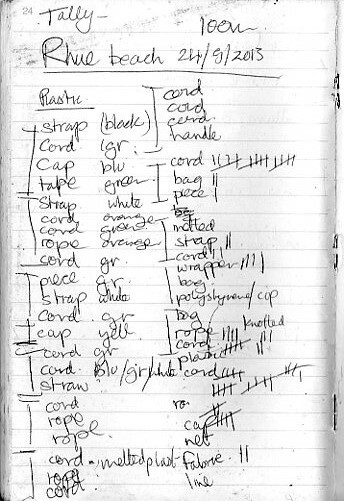 During the walks I tried out different ways of recording litter, using tally systems [ bottle tops III , aluminium cans II etc]. 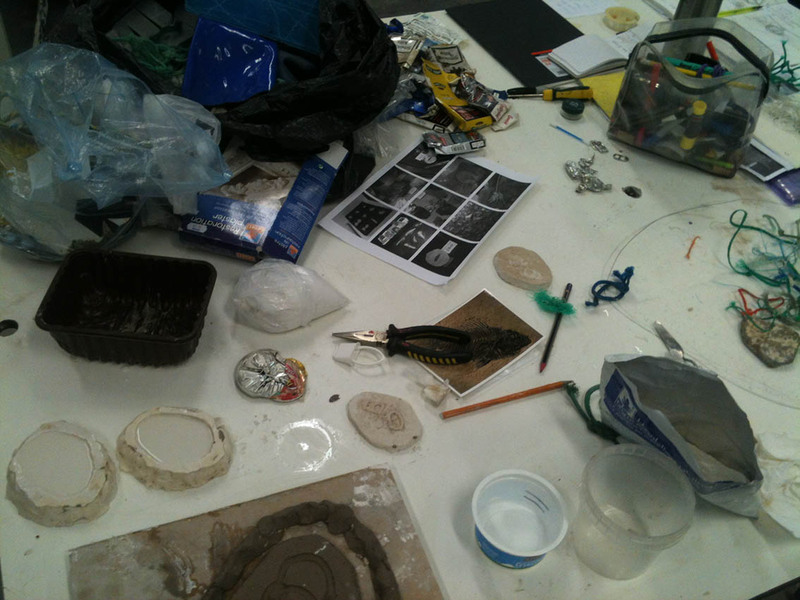 I experimented listing materials then specifying the object. I will continue to work out the final format over the coming weeks/months. 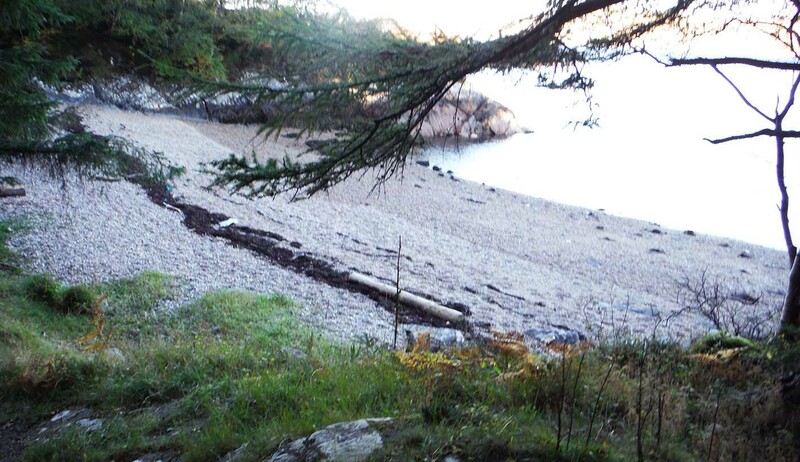 Whichever way you look at it the lists make sober reading when keeping in mind they are from such beautiful beaches found around Loch Inver and Loch Broom, all seemingly ‘clean and pristine beaches, until we look more closely. 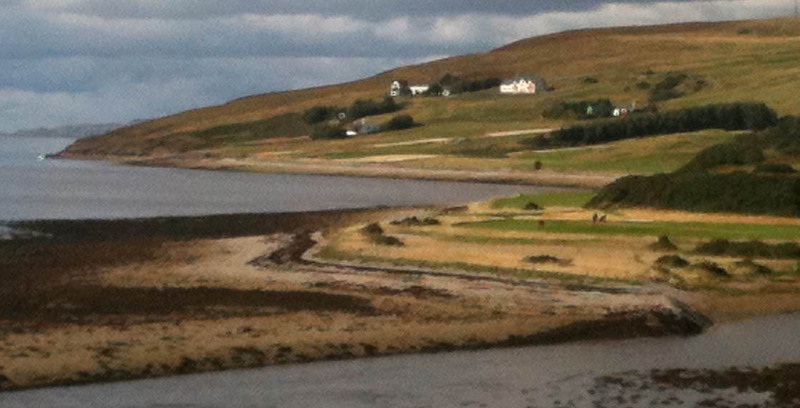 My 4 weeks in Ullapool have been incredibly busy. I have met many wonderful people keen to help me learn about litter along the nearby beaches. I am so grateful for the positive response I have received for my project, the warm welcome and fantastic west coast hospitality. 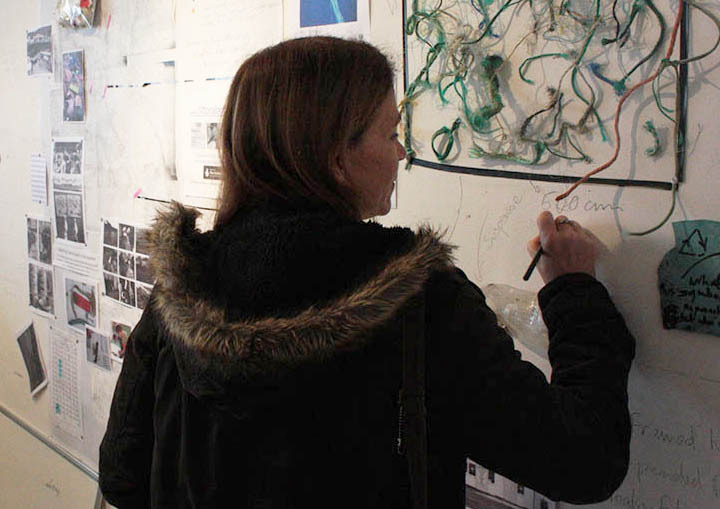 Massive thanks to people popping into my studio at An Talla Solais, volunteers, teachers and pupils from all the schools, ecologists, marine biologists, conservationists and fellow artists. 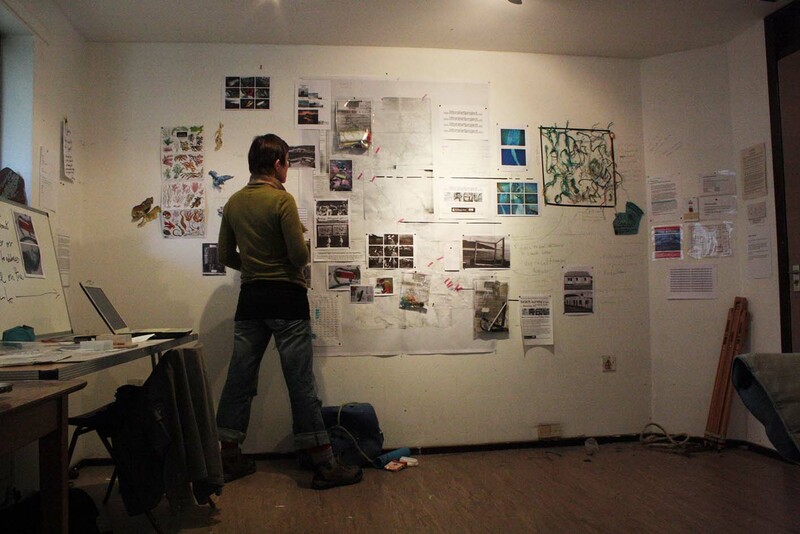 I am now pausing to reflect and review the vast amount of information I have collected, ideas that are jotted down on maps, photographs, notebooks and the walls of my studio at An Talla Solais. 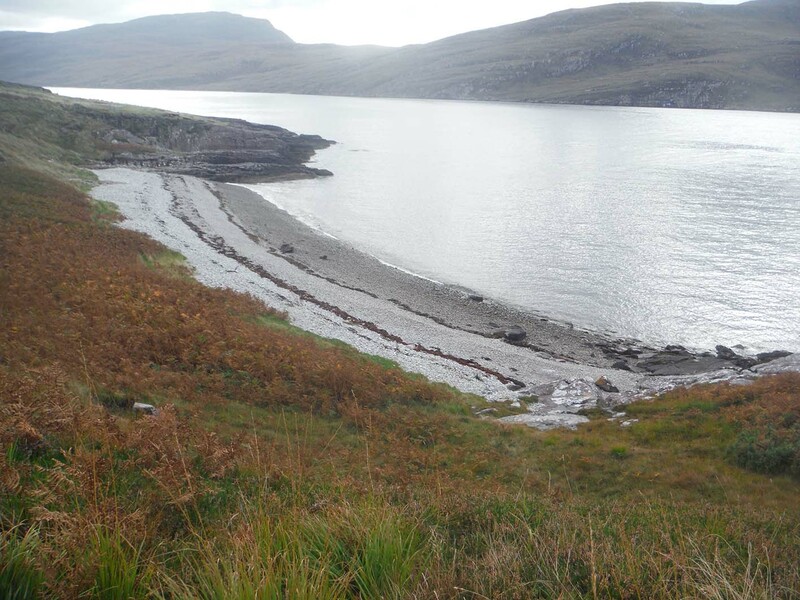 At the beginning of November I will return to install temporary artworks in a variety locations in Ullapool in response to my research.